We're celebrating gold in our house this week... we ate the first of our corn this week! We also had some undocumented strawberries (2 pounds worth!) and peas. What I found interesting... the first week of August last year? We had corn, strawberries and peas! We are nothing if not consistent here. I can see how this week will be a replay of last week. I'd be happy with that! Such a beautiful corn harvest! That's some of the most beautiful home grown corn I've seen. Corn, strawberries, and peas. Sounds good to me! 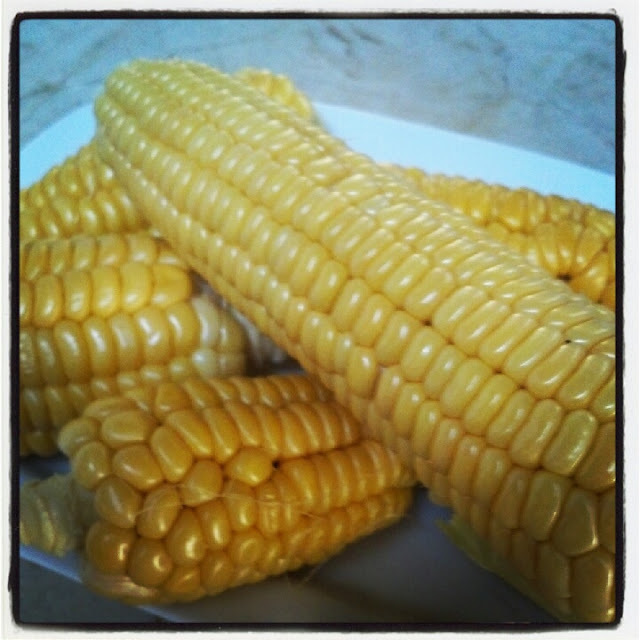 Homegrown corn, so tender and sweet. Yours are so well formed. Strawberries and peas in August, how delightful. All of these glorious corn photos have me considering growing corn next year! Great harvest. The corn is lovely, I need more room before I give it a go. I can see why you would take a repeat of this week's harvest. That sounds good to me, too. Yummy! Very nice corn. 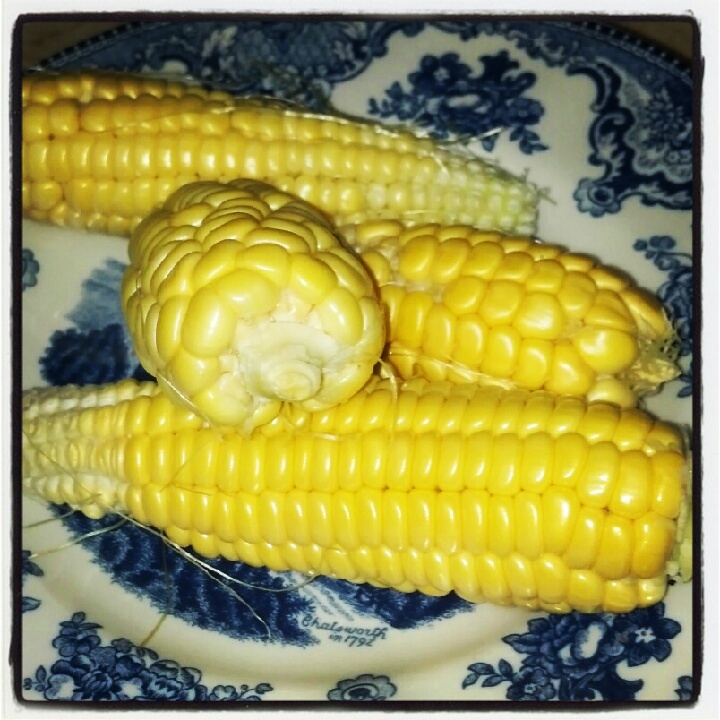 I don't have room to grow it but your photos are reminding me to take a trip to the local farm stand to get my corn fix. 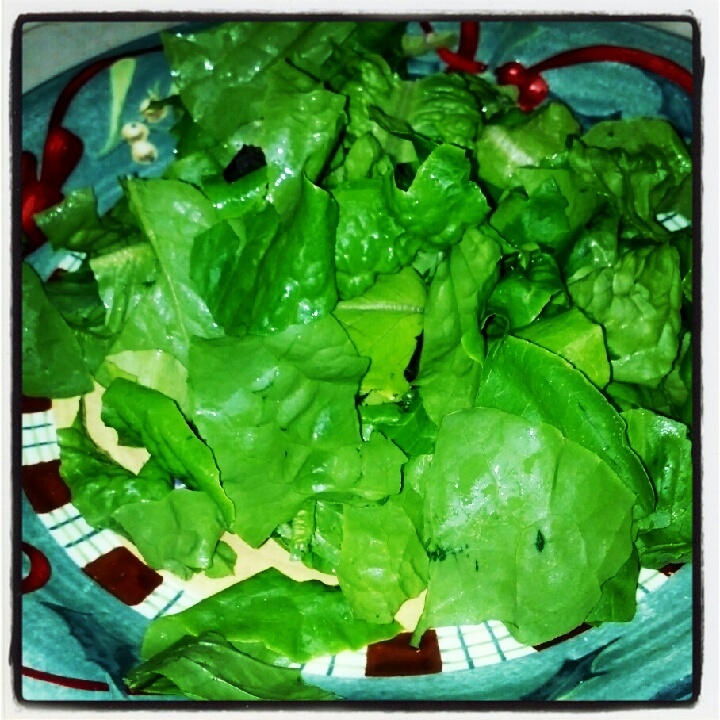 Lettuce, corn and strawberries! Sounds like a great summer supper to me! It all looks beautiful!